Tibet has long been known as the roof of the world. It is in the south western part of China bordering India, Bhutan, Sikkim Nepal. The region is full of spectacular skylines of majestic mountain peaks, breathtaking canyons, scattered highland lake, rolling pasture farm land pristine forests. The population of the region consists mostly of Tibetans, Monbans Lhobans cultivating for centuries very unique ethnic traditions glorious cultures unseen any where else. This is a land of enduring enchantment tantalizing mystery. 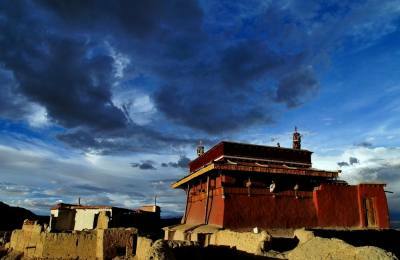 For centuries, Tibet has fascinated mankind. 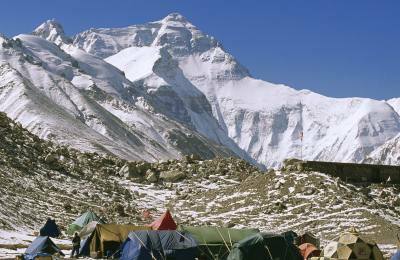 This land beyond the mighty Himalayas on the highest plateau of the world, was hardly accessible to the outside world. Maya Holidays, a leading Tibet tours treks operator offers its various fascinating packages for you to experience make that one dream that you have always cherised -to come true. First foremost, all visitors traveling to Tibet are kindly requested to have the understanding that Tibet being extremely remote isolated by the formidable Himalayan ranges still remains one of the most captivating but least developed parts in the world. Within its very short history of tourism the facilities provided to visiting tourists are still at basic and limited scale. So the visitors are requested not to have high expectations in terms of facilities in Tibet. However we will always put in all our efforts to make your visit as pleasant as possible. The roads, especially the highway from Kathmandu can be rough is subject to blockages due to land slides floods the high altitude does pose a serious threat to quite a few people. The average altitude of the Tibetan plateau is 4000m above the sea level that is a lot higher than most people have been in their lives. Chengdu is a very important hub city for flights going to and from Tibet. There are at least two flights form Chengdu to Lhasa EVERYDAY. If you want to go there from Beijing, Shanghai, or Guangzhou, you have to make a stop in Chengdu. Anyway, Chengdu is the best place to see Giant Panda Bears, and the Ancient Sanxingdui Ruins, the terro-cotta warriors No. 2, is also in Chengdu. So an overnight stay in Chengdu is a good idea. Among the above routes, driving from Qinghai or Kathmandu (friendship highway) is the easiest route. We do not recommend that you drive to Tibet using any of the other routes unless you are a professional driver and an adventurer with all of the necessary gear and backup support. Now you can take a train to Tibet on the worlds highest Qinghai-Tibet railway! By traveling on a train to Tibet, although it takes much longer time than by plane, you can enjoy the wonderful landscapes and unique experience of seeing thousands of miles of the worlds roof. landscapes and unique experience on the thousands miles of world-roof. If you want to go further to the unopened areas, you need an Aliens travel permit issued by PSB of Tibet. It is called Aliens Travel Permit or PSB permit. It is the greatest festival in Tibet . In ancient time, when the peach tree was in blossom it was considered as the starting of a new year. Since the systematization of the Tibetan calendar in 1027 A.D the first day of the first month became fixed as the New Year. On the new years day families unite auspicious dipper is offered the auspicious words Tashi Delek are greeted. It is the greatest religious festival in Tibet . Instituted by Tsong Khapa in 1409. The founder of the Gelukpa sect. Monks from the three great Monasteries of the Tibet of Tibet assemble in Jokhang for prayer to Shakyamunis image as if it were the living Buddha. Philosophical debates are held among candidates for the doctor of Metaphysics. Pilgrims come from every corner of Tibet donations are offered to monks. It is the holiest in Tibet , memorable occasions coincide on this day, Buddhas birth and Buddhas enlightenment. Almost every person within Lhasa joins in circumambulations round the city to spend their late afternoon on picnic at Dzongyab Lukhang park at the foot of Potala. Horse race archery are generally popular in Tibet and Gyanste enjoys prestige of being the earliest in history by starting in 1408. Contests in early times included horse race, archery shooting at gallop followed by a few days entertainment or picnicing. Presently, ball games, track field events, folk songs dances barter trade are in addition to the above.